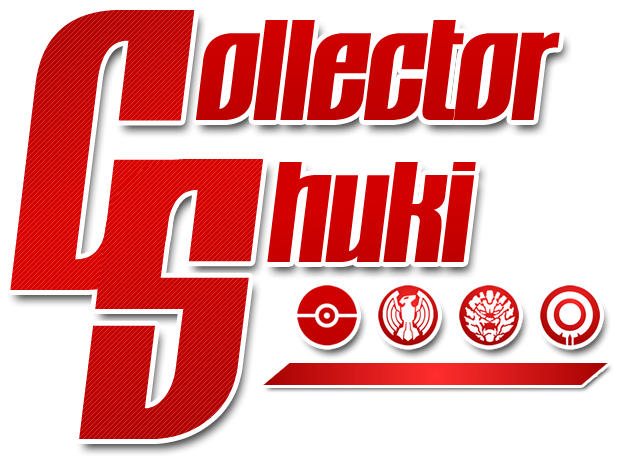 Brian, also known as a Collector Shuki, is a YouTube toy reviewer of 10 years that specializes in all things geeky with a focus on Power Rangers, Tokusatsu, Pokemon, Transformers, and Nintendo. Brian is also an editor and co-founder of PwrRngr.com. What do you do when your passion isn’t viable? Of course, I don’t want this to sound like a bit where I’m writing off passion as some sham. That’s certainly not the case. There are plenty of people out there that are able to take their passions and build their life around it. YouTube is full of creators that put so much passion and effort into their work, it shows, and they can live off of that passion. Authors take their passion of writing and turn it into novels, editorials, opinion pieces, etc. Artists and photographers take their passion for art and create beautiful things. Musicians create the music that inspires us each and every day. But what do you do when you’re at the junction where your passion for one thing has shifted to another, less viable outlet? I am known in the tokusatsu and Power Rangers communities as a YouTube Toy Reviewer. I love doing that sure, but considering my last hiatus was as long as the summer Power Rangers hiatus, it shows that everyone has burnout. During that break, as I mentioned in my last blog post from a couple months ago, my passion for writing had rekindled. I’ve worked on a few private pieces since then, and I’m currently working on something alongside one of my best friends that I can hopefully turn into a really cool piece of fiction soon. Jumping back to the topic of toys though. I love toys. Always have, always will. When I get a new toy I want nothing but to share it with you all. Unfortunately there are several things that get in the way of that. I don’t currently have a proper set up at home like I did in the past (though that’s entirely on me), the house isn’t always quiet between other people, my small army of pets, the loud furnace, and other such home noises. It’s a trailer. The walls are thin and noise just caries. There’s also my own demons. Despite doing this whole video thing for nearly 10 years now, I STILL don’t feel comfortable recording in the same room as someone, which is an issue when you live with somebody. I’ve overcame it recently, but it’s hard to even have the desire to turn the camera on. Yes, the vlogs I do at things like Toy Fair and PMC are actually incredibly hard for me to do mentally. I know some of you REALLY want to see the Beast Morphers figures, and I really want to share them with you all, but everything I just said still stands. My last blog post’s title still holds true. “I Want to Write.” I do! I want to write fiction (which I’m working on). I want to write more editorial pieces, opinion pieces, all of it. I would honestly love nothing more than to be able to kick back and write every day for a professional news or journalistic outlet. Most importantly, I want to write for YOU. Yeah, you. I would love to get a new toy, crack it open, hone my photography wee bit, and just write an entire piece about how amazing the Beast Morphers figures are, or how Siege Starscream isn’t nearly as bad as everyone thought he was gonna be. How viable is that though? YouTube is where the money (even though I don’t get much of that anymore…) is. It’s 2019. The general populous doesn’t want to sit and READ about how good a toy is. They want to hear how good a toy is. SEE how good a toy is in motion. Video killed the radio star? Video also killed the…written word star? Terrible, I’ll move on. So that’s where I’m at. I want to write about toys. I want to write about how good they are, or how bad they are, or how they’re just sort of okay but if my dog decided to chew its head off I wouldn’t really mind. But I can’t really make a living doing that. My only option to make money is to reopen my Patreon and hope people want to read my written reviews enough to donate some of that cold hard casharoos to me. Hell, if I can even get $300 a month to write I’d be doing better than my YouTube is doing right now. Writing I also feel gives me more opportunities to grow as a career, and more time to get other jobs in the mean time until it can become one. Writing is natural to me. It’s a lot easier for me to spend the time to spew out a piece like this than it is to record, edit, render, and upload a video. I feel like I’m considerably better at it too. While I haven’t decided what I’m doing, I really wanted to get that off of my chest. This here is what I WANT to do. Would you support it? Is it even viable? That’s what I’m trying to figure out at the moment, and I could really use your input. Thank you, and as always, thanks for reading, take care, and have a great one! Bye!